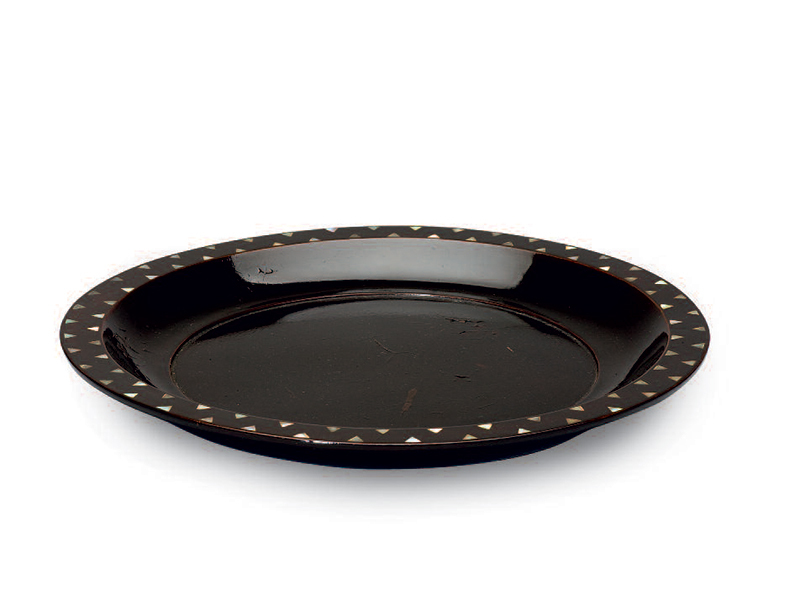 A circular lacquered wood plate with upturned rim and slightly recessed base. Both the interior and exterior of the plate are covered in black lacquer, which is wholly undecorated except for two juxtaposed bands of triangular mother­-of­-pearl inlays on the flat rim. The mother­-of­-pearl inlaid decoration on the lacquer plate is confined only to the rim, seemingly reflecting the Japanese taste for minimal design. 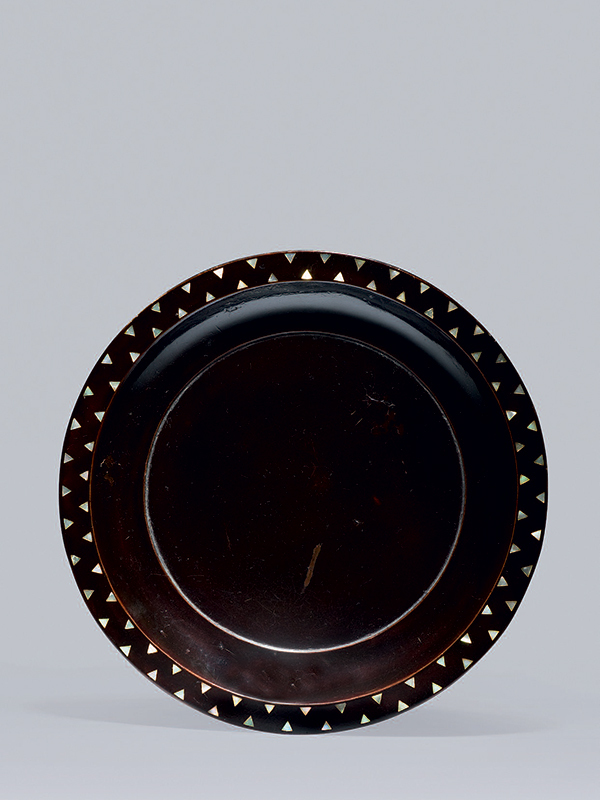 It is, however, possible that this plate was made for export, as the mother-­of-­pearl inlaid design on the rim has similarities to certain Namban (‘southern Barbarian”, first used by the Japanese to designate the Portuguese, later other Europeans) lacquers, notably a dish dated 1580 – 1620 in the collection of the Los Angeles County Museum of Art.